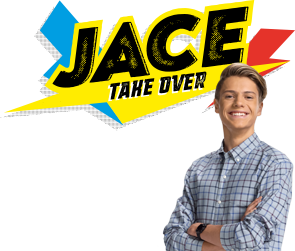 JoJo Siwa is hosting on Nick this week, and we've got the ultimate JoJo prize bundle up for grabs! Simply answer our question below for your chance to win! For more JoJo Siwa head to Nick.co.uk/videos. And tune into Nick this Friday to see her guest starring in School of Rock! The competition opens at 12:01am on 6th November 2017 and closes at 11:59pm on 12th November 2017 and is open to UK residents aged 17 years or under.